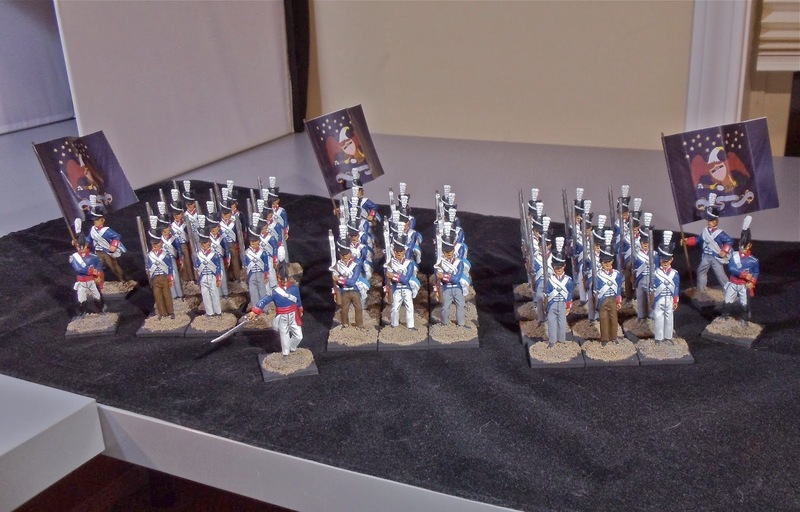 Yesterday I finished up a unit of US light infantry. Figures are 54mm and are from All The King's Men. On my table right now is a unit of US artillery and it should be finished in the next few days. After that I have 2 US generals, a unit of US cavalry and a militia unit to do up for my MayDay game. I should have most of the units assembled and hopefully primed in the next few days. 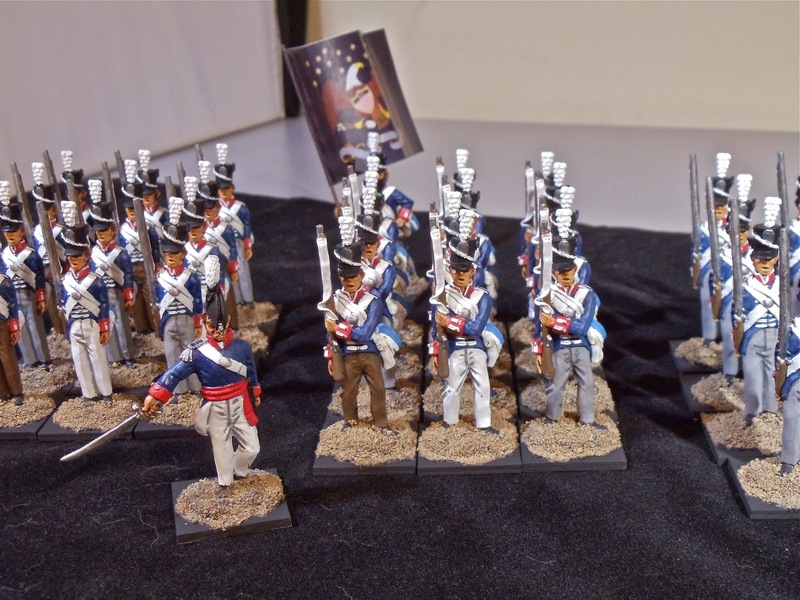 The other night I finished up 3 units of American infantry that I was slowly slogging through. These figures are all from All The King's Men. I'm going to avoid painting up a large batch all at once again, as it's really monotonous. I've decided to run the 2nd Battle of Sackett's Harbour at MayDay this year. The British/Canadian side I've got ready but for the American side I need to paint up some cavalry, a cannon and another couple units of infantry. That and get my terrain ready. Oh and run through the rules as I haven't even tried them yet. 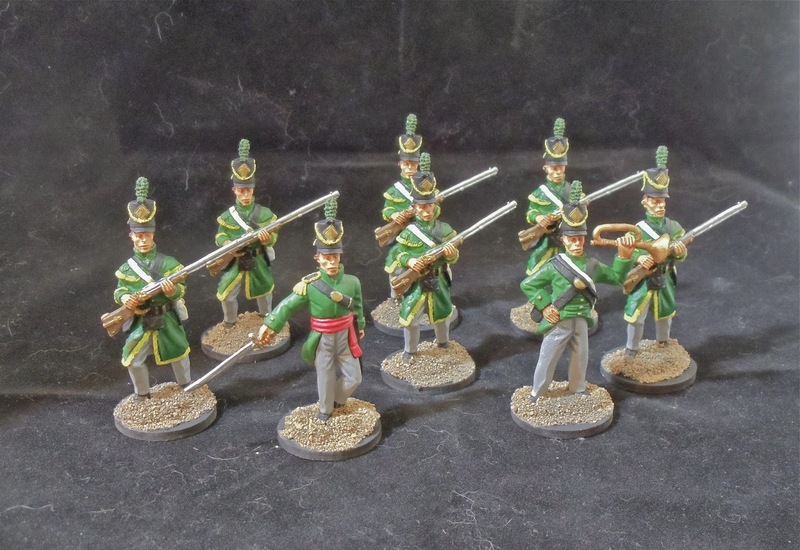 On my paint table right now is a unit of US artillery and a unit of US skirmishers.